BHP Billiton Ltd cut its 2018 fiscal year iron ore output guidance on Thursday citing issues in its railroad car unloading system, while reporting an 8 percent rise in third-quarter iron ore production. The miner cut its fiscal 2018 production guidance to between 272-274 million tonnes of iron ore from 275-280 million tonnes. It also narrowed its full-year copper guidance to 1.70-1.785 million tonnes from the earlier range of 1.655-1.790 million tonnes. BHP, the world's biggest miner, said its copper production target was affected by a "slower than planned" ramp-up in production during the March quarter at its Olympic Dam facility in South Australia. 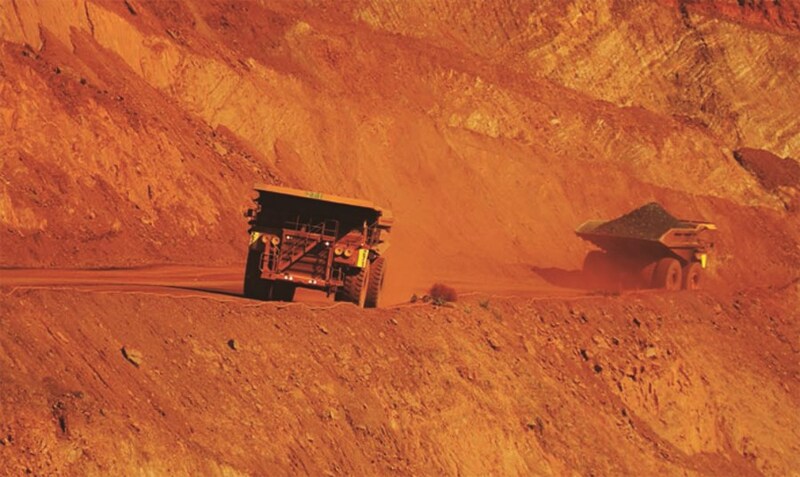 BHP's iron ore output rose to 67 million tonnes in the three months ended March 31, compared with 62 million tonnes a year ago. "BHP remains on track to achieve six per cent volume growth for the 2018 financial year," BHP Chief Executive Andrew Mackenzie said in the group’s quarterly operations review. The miner said its decision to exit its underperforming U.S. shale oil and gas business last year was going as planned. BHP reiterated it expected bids by June 2018 and added that transactions could be announced in the first half of the 2019 financial year. Sky News last month reported Royal Dutch Shell Plc and U.S. private equity firm Blackstone Group LP were working on a joint $10 billion bid for BHP's U.S. shale assets. Reporting by Rushil Dutta in Bengaluru Editing by Tom Brown and Eric Meijer.